Once a best kept secret of the inner West, Maidstone is now a well known property hotspot in Melbourne. Close to the city (8kms) and with a relaxed lifestyle, this suburb has it all. The affordability is still strong with 3 bedrooms coming in at a median price of $750,000. And 2 bedrooms fetching a median value of $400,000. The median price is climbing every quarter. This is bringing investors to the suburb and bargains are being snapped up at quickly. The housing is varied with weatherboard, workman cottages and brick veneer homes. New apartment developments are appearing, built with contemporary and modern design. 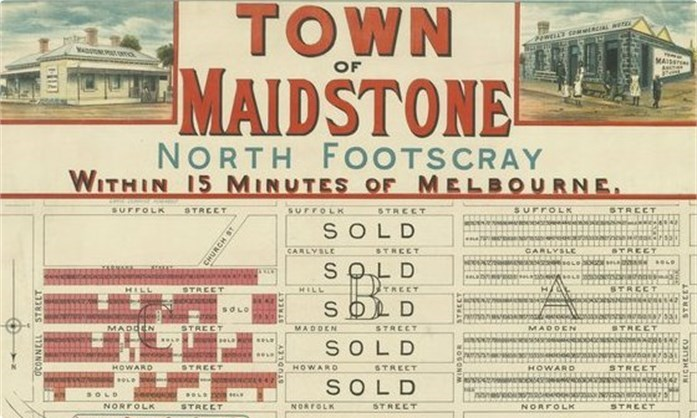 Suburb transport are good with buses to Footscray station or trams running through Maidstone. There is also access to the Maribyrnong river trail, which runs into the Docklands and the CBD. Adding to the family friendly facilities is plenty of parks and sporting groups. There is also a golf course and bowling club. Overall the the atmosphere is vibrant and has a village quality about it. Its no wonder the best kept secret of the inner West is no longer hidden! With such high competition, make sure you have a clear advantage. Get the best conveyancing. This way you will be prepared and ready to buy or sell and be able to act quicker than your competition. Fordes provides excellent conveyancing services throughout Melbourne. With particular interest in the inner suburbs. Our understanding of the real estate in this area means we know what to look for in these property contracts. At every step we ensure our clients meet their legal obligations and all the while protect their rights and interests. We assist many investors with property purchases. And also work hard on the conveyancing needs for owner/occupier apartments or homes to reside in. Do you need conveyancing services for buying and selling in Maidstone? Fordes offers affordable and streamlined services that result in fuss free property transfer. We are a professional conveyancing and property settlement firm. In addition we operate independently of any banks/financial institutions. Due to being a privately owned company your interests are always put first. As a result of our client first focus, we find our clients come back to us when they need further conveyancing help.